Angie, I love your discussion and diagram of agency…I will definitely look up the article you referenced. It occurs to me that your topic is crying out for a CBPR orientation – for PAMS participants as well as their supporters and other interest groups who may harbor other agendas. For a quick read, a good article covering participatory research from a woman-centered perspective is Decker et al. doi: 10.1089/jwh.2010.2059. I have Decker, and am just beside myself waiting to be able to take a CBPR project off the ground! There is a great need for qualitative work in PAMS. From going through the quantitative data set I will be completing my dissertation with, it is clear that the current theories regarding infant feeding decisions and donor/recipient motivations specific to banked human milk are not compatible. 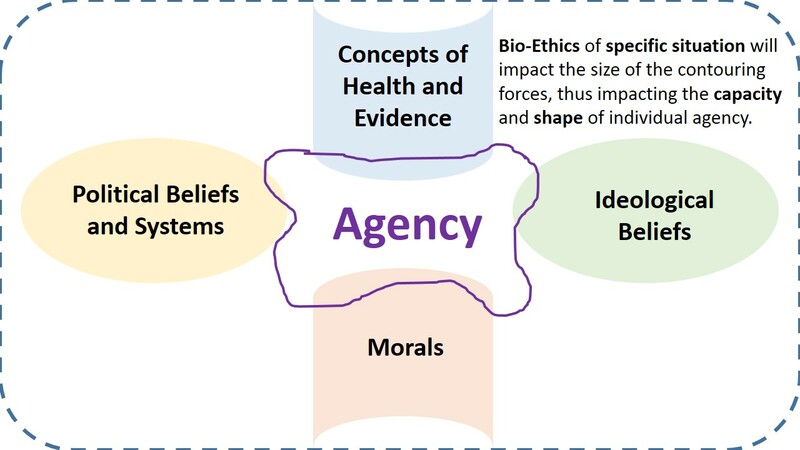 The mechanisms of agency involved in decision making are, I believe, key understanding the deviation from existing beliefs regarding care-giver decisions. It was little different than the discussion of change agent, but since there is not existing policy to discuss historical and individual characteristics of effective change, I chose to focus on the agency of participation to frame the nature of conscientious policy generation. The fact that a noteworthy number of participating families do not fit the husband who was born male, wife who was born female, copulation lead to conception lead to birth bill also is in desperate need of qualitative work. We are in the home stretch of the course here, are you feeling like we are changing the world yet?